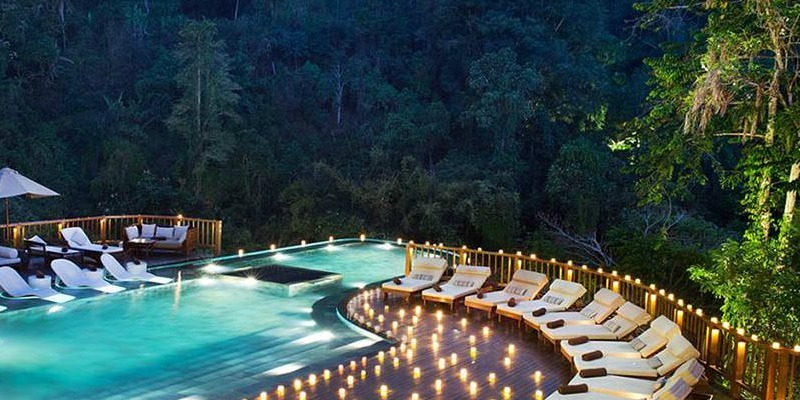 Hanging Gardens of Bali is an exclusive resort in the heart of the Indonesian Rain Forest. It offers splendid luxury villas set in a tropical jungle paradise. In a jungle close to Payangan at the edge of a scenic valley in Ubud is where you’ll discover the Hanging Gardens of Bali. It’s a secluded resort in the heart of the Indonesian rain forest that looks out over the Ayung River as well as the Dalem Segara Temple. What’s more this enchanting destination includes luxury villas surrounded by a garden with indigenous flora. Swimming in the middle of the jungle is an incredible experience as you get a glimpse of the valley at the edge of the pool. 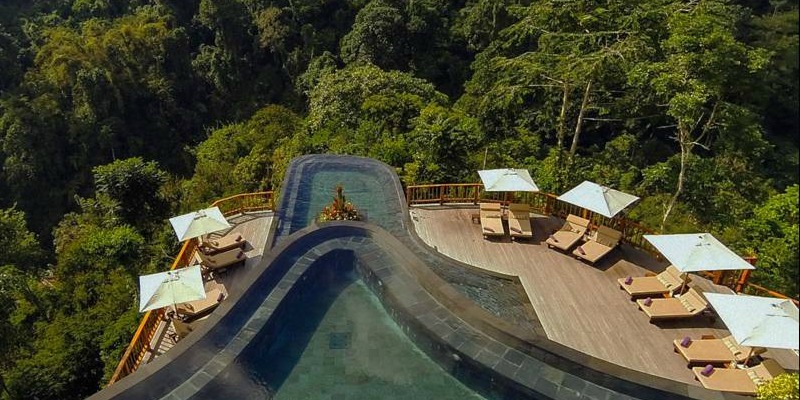 The Hanging Gardens of Bali’s twin-tiered cascading pool is world-renowned, earlier named as one of the “World’s Best Swimming Pool” by Condé Nast Traveler. In 2015 it was on top of the list of Architecture and Design’s 40 Most Unique Swimming Pools Around the World. The structure, arrangement and the design of the Hanging Gardens of Bali was designed to complement the natural environment. The trees and plants surrounding the exclusive resort in the Balinese jungle are indigenous to the area such as that of coffee trees and cocoa. You will also find flame trees, bamboo and orchids nearby. This tropical paradise is genuinely in harmony with nature. If you want tranquility in a luxury villa by the Ayung River there is such a place in the Hanging Gardens of Bali. The Balinese inspired Riverside Villas rest on wooden pillars as well as feature a remarkable vista of the river with its flowing waterfalls. Each villa includes a king size bed and terrazzo bath, a large deck with a private infinity pool, gazebo, dining table, and an outdoor shower. The Hanging Gardens of Bali’s Family Villa is a retreat for four family members or a group of four travelers. It’s a two-story luxury villa with the master bedroom on the top floor and a second bedroom situated on the lower level, both with king size beds. You’ll find floor-to-ceiling windows at the villa with a beautiful view of the valley, two sizable terrazzo bathrooms, and a terrace with a private infinity pool. 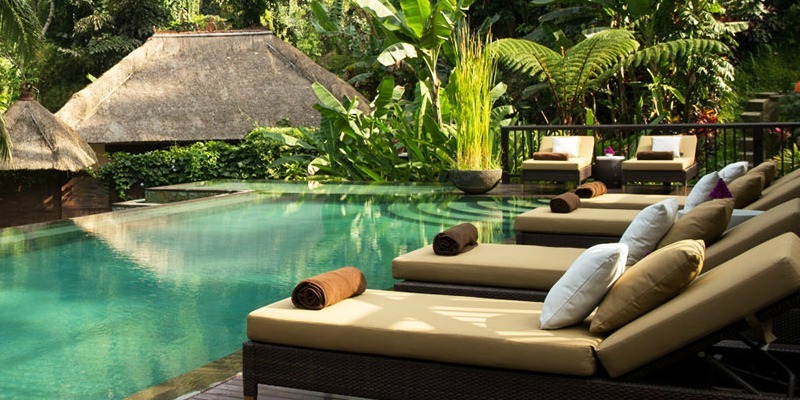 At the verdant grounds of the Hanging Gardens of Bali sits the Panoramic Villa. The holiday home has a spacious private terrace, an infinity pool along with floor-to-ceiling windows that lets you see the beauty of the magnificent rain forest. 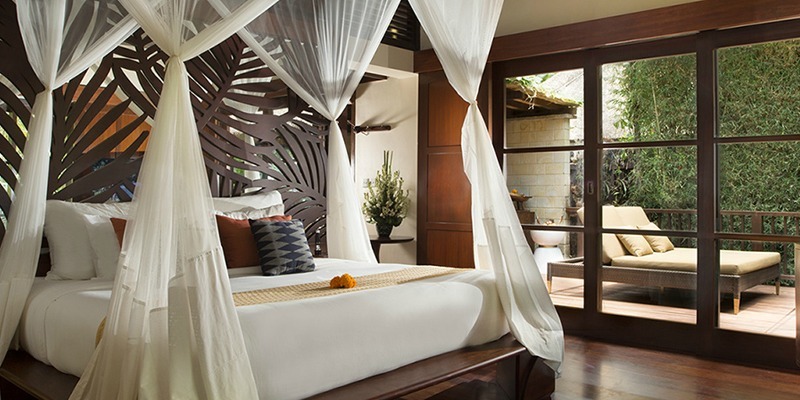 The luxury villa also includes a king size bed as well as a terrazzo bath plus an outdoor shower. 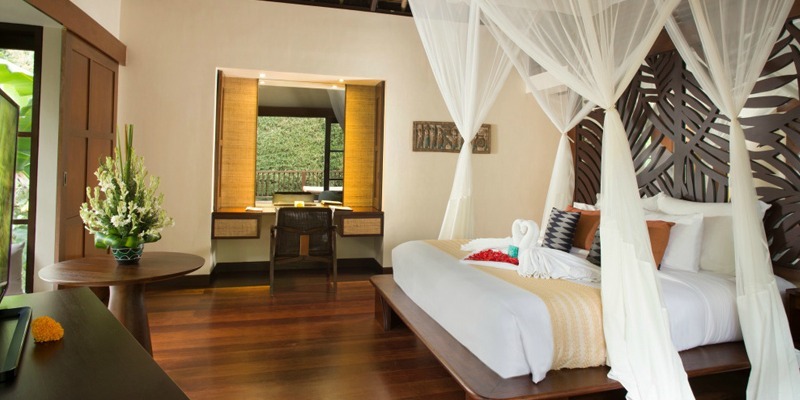 The splendid Villa Suite at the luxury resort hotel offers an amazing view of the valley. 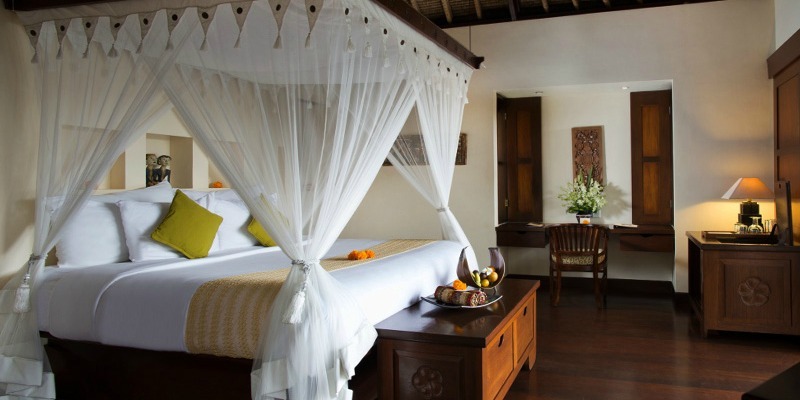 Each designed in contemporary Balinese fashion. All the Villa Suites include king size bedrooms, a terrazzo bathroom as well as a separate lounge area with an entertainment system. The best part is the expansive terrace is just adjacent to the private infinity pool plus a traditional Balinese pool pavilion. 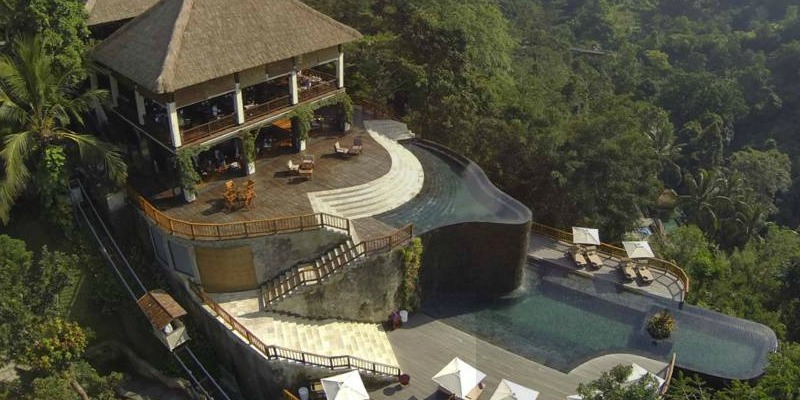 The Hanging Gardens of Bali has received global awards because of its exceptional design and phenomenal setting. Arrange for a picnic by the river. Dining at the Dalem Segara Temple with a personal chef preparing your gourmet meal is also highly recommended. These are just some of the unique experiences in store for you at this tropical paradise deep in the forest. Championing the customer through superior technology and world class customer service.